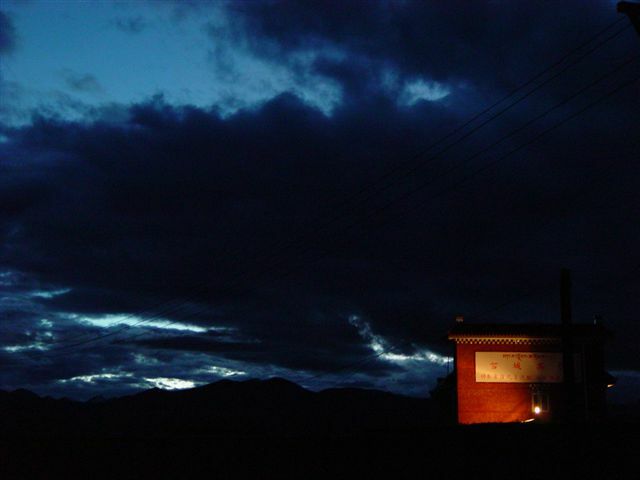 Today, I want to share about the topic of Death and Religion in Tibet. Be Aware of Altitude Sickness. Why? 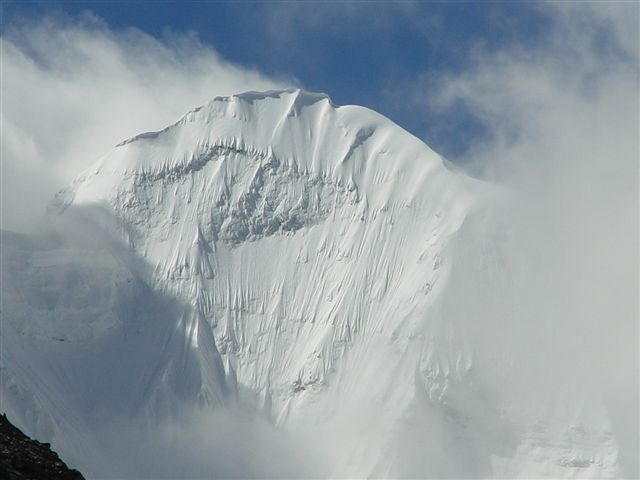 Because Tibet is not distinct from other regions on culture, religions, the natural environment in Tibet is very unique – maybe the highest places with less oxygen than any place else. Let me share my own story. His wife, wrote a memorial article here. In Tibetan Plateau, death is so close to everyone. Under the beautiful snow mountain, and in the highest town in the world, the purest soul and the most dangerous threat to people’s life exist in the same place. Death arrives just at night – any night for any one. "The Judge" is not the only one we know dead during the visit. In the same month, 4 persons in the village (of 100 or something people) lost their lives. I heard (which means I cannot verify whether it is the truth or not) one drove a motorcar and directly run down on the mountain. The other three went to forest to crop trees, and a tree collapse, and killed three (one of them is the head of local Party branch). I hope that only happened for the month of bad luck. Imagine what this reality may influence your point of view to this world. At least it changed mine. In that plateau that is not suitable for man kind to live, the only thing a mother can do to ensure safety of her children is to pray for them – at any time, their lives can be taken away by the nature. What else can she do? When people’s life is not in the control of human, religion is the very powerful to help people. I don’t think people have the right to easily say "your thoughts is stupid"… It is the person who say it reveals his own limited understanding to the world. Since I have so limited experience with Tibet, and I almost know nothing about the mysterious land. I just want to share my very limited experience to remind people about the tough natural environment in that place. It is not just from social side, it is also from the natural side. Hope it helps. Not Just Identify Problems for China – Solve Them! What the Term China, or France Means? Many of them generate more than 100 comments from thoughtful readers. Not only the quantity, the quality of the comments are among the best during the last few years of my blogging. No matter which perspective people see the matter (as I always believe there are thousands of different perspective to see the same thing), there is something I think people share in the discussion – seeking for understand, and ready to understand. I hope I wrap up the recent meaningful Tibet discussion with this post. I hope more people start to share their first hand experience instead of just quoting some thoughts from book, or even worse, from eye-ball driven media. As a westerner, this issue with Tibet & Olympics has made me read your blog even more closely. I felt that your voice was essential for me to read so I could keep a balanced view of things. So in that sense, in my world, it has reduced the gap in communication. And the gap is always there, i think, only now we begin to realize it. And i belive most of us are far from being ready, thanks to our saving-face-first media. thanks you do remind me of the danger there by nature. since i have been thought about landing tibet. i donot know there will be so horrible although i known some of ganger of altitude sickness. Mountain sickness is common but not necessarily deadly.Even in Lijiang of Yunnan(3000mt high),some people would feel sick,mostly headache and unable to sleep,especially in case that they flied in. (I personally felt nothing but easy to get drunk after cups of local wine). There are very rare cases of death from altitude sickness around Lhasa,but a few people really collapsed in the hotel lobby after an over-excited arriving from the airport in their first day,just like my friend(he did nothing in Lhasa but to stay on the hospital bed for 1 week before he say farewell to Tibet). The acclimatization is very important. I would suggest the land transportation,bus or jeep by Tibet-Qinghai highway. I don’t hv experience with the new railway. But the view along the old railway from Xining to Gelmu is just spectacular. Driving through 5500mt high Tanglha pass would be challenging. you definitely get headache, hard to breath,and probably nose bleeding.But when you descend to Lhasa at 3600m next day, you would feel better and get acclimated to the altitude soon. Be cautious about Acute Mountain Sickness if you try any strength-costing activities in higher altitude. Tibet is not a good place for trekking as the landscape is so vast and empty that it becomes a little boring after first several days(if without colorful pray flags on monasteries). I did see a veteran porter died on the way at altitude of 4500m which was usually considered safe. If you feel very sick for the high altitude in remote area, let you guide call a helicopter for evacuation. It costs about $3000 in Nepal. It should be cheaper in Tibet. Anyway,had better take a good rest and do nothing in your first days in Lhasa. No hurry to climb the steep steps of the Potala. JS, I noticed that most of the readers’ comment in the last two weeks are not attached to the daily blog but locked into the recent comment column, in the last two days the comment column also become inaccessible. I don’t know whether it is a problem from my side, nevertheless, can you please rectify the situation from your side. Thank you, Jian Shuo, for always considering both sides. And thank you for giving us a list of your postings on Tibet. I noticed the one about Grace Wang at Duke. Since I used to teach at Duke, I felt especially sad that so much anger was there and that it was directed at her. But to put this in perspective, let me say that in other universities (Smith College, for example), students and faculty who have even dared to forward a link reporting riots by Tibetans in Lhasa, rather than police brutality toward peaceful protestors, have received hate email, been told they are spreading dissent. Students and one faculty member have complained to the college president and deans about the immorality of anyone who would do such a thing (forward a link to an article reporting on Lhasa). There is a lot of anger and misunderstanding. Many Chinese in the US feel that they have not complained about the misinformation for too long. I think it is time they speak up, and I’m very sorry that some of us are at the receiving end of the hostilities. I do think that Grace Wang was treated badly, and certainly worse than what happened at Smith. Like her, we want to lessen the hostilities, but not by allowing false impressions and misinformation to continue. Thanks for the reminder. There are two issues. 1. The comment index page had some problem and now it is fixed – and even better. You can always check the last 100 comments. 2. The comments are always attached to the daily blog. I just implemented a cache on client side. You didn’t see update just because it is cached. Press F5 to refresh the page will show the latest version.